a little flash for the tail?! 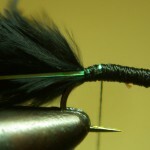 A simple sequence of a black wholly bugger being tied for our Pyramid trip. 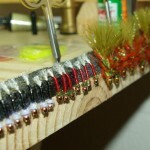 What is interesting is that I burned 4 or 5 marabou quills looking for a straight tail edge and all I could find in the whole packet of feathers were these low-grade ones with all the frilly edges. Bummer. 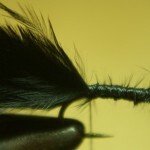 I also did not realize that I was completely out of saddle hackle in the correct size so the hackle used is grossly oversized, Don’t think the fish will mind as long as the bugger looks like it is swimming. 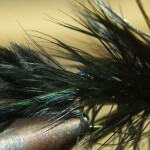 As previously mentioned, I am going to hit up the fly shop and invest into a much better quality set of feathers. You get what you pay for! Anyone need some poor quality feathers? Don’t even know if they are worth the cost of shipping. 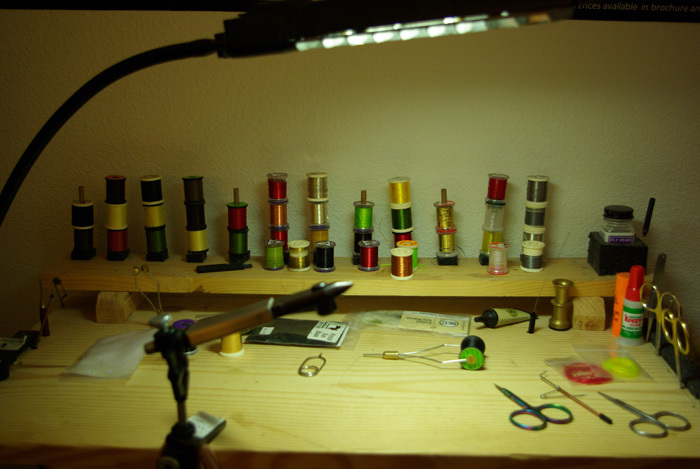 Now that I am at the halfway point on my “to tie” list, I decided that the next set of flies would be my favorites to fish and tie. 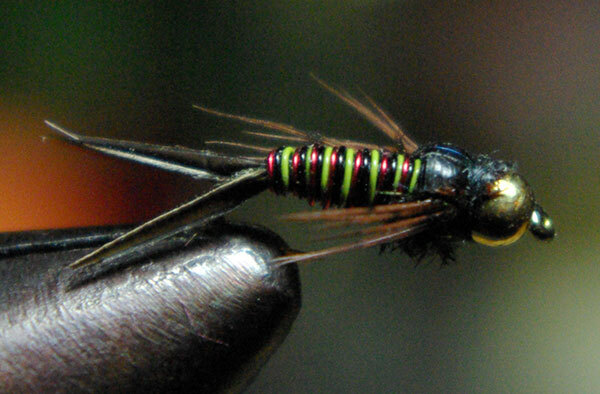 For me, that fly is the Copper John. 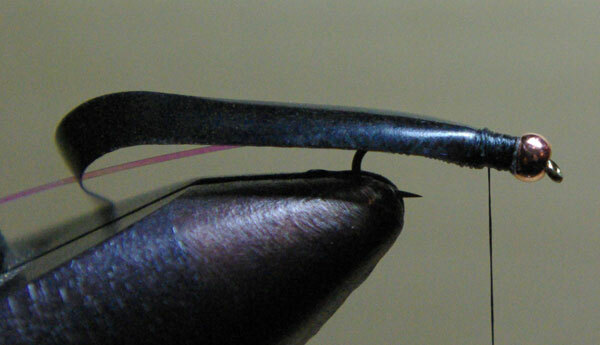 This fly is responsible for a major portion of fish I have hooked and landed. 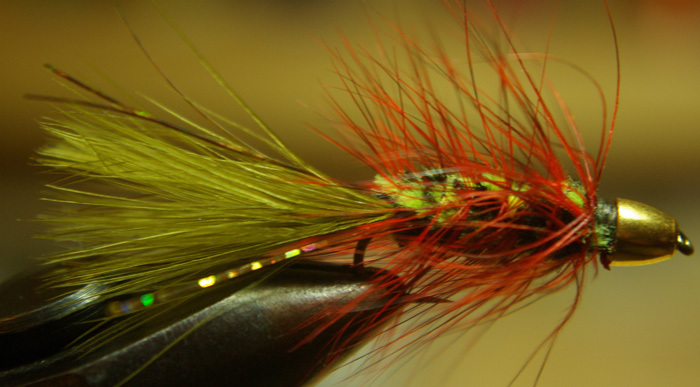 I fish it in several colors and sizes, so this one pattern will be next 72 flies that I tie. 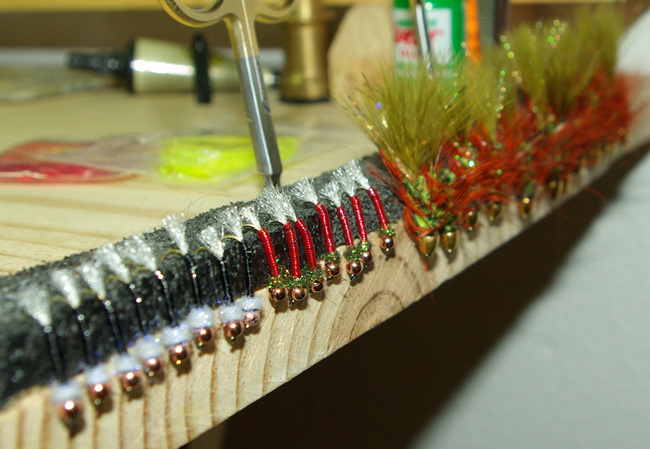 Since I am pretty quick at this fly, this should be about 8 or 9 hours of tying. 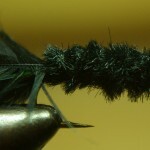 For the sharp eyed, you noticed that the finished fly is not the the same as the fly in progress. Very observant of you. 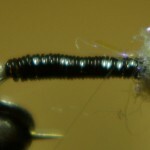 I was taking a progression of shots of this fly as I was tying and for some reason the finished BLACK version turned out all blurry. Had to use one from the previous batch of shots. Oh well. For the record, the tri-color version is my searching pattern and it has done a fair job of fooling trout. I still prefer and use the green or red versions first, backing those up with black or the original Copper that gave the pattern its name. 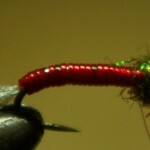 I owe John Barr a big thanks for a great pattern that is easy to tie and extremely effective. 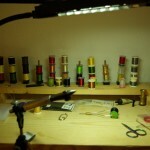 Fly Tying – A Chore or a Joy? 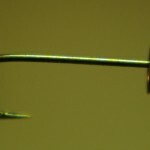 Today marks a milestone in my annual pre-seaon fly tying binge. 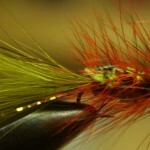 I have just reached the halfway mark on my list of flies to tie. But let’s back up a bit and explain how I even got to the point of having a list. 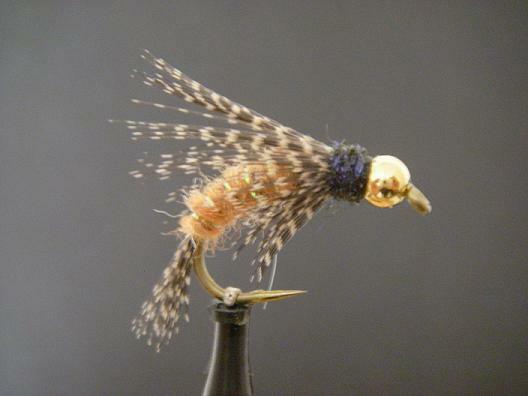 I have been tying flies for about 5 years now. 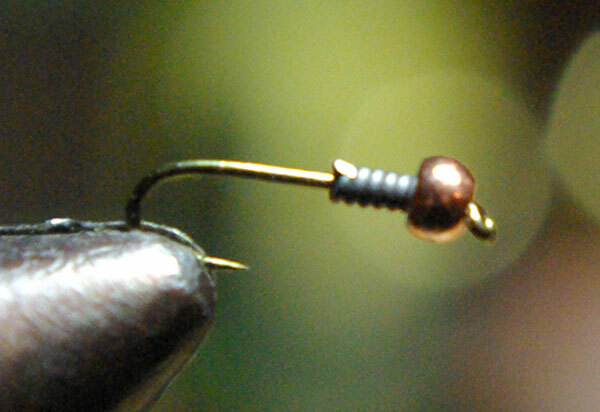 The fact that I tie is not unique as most of my fly fishing friends tie as well. 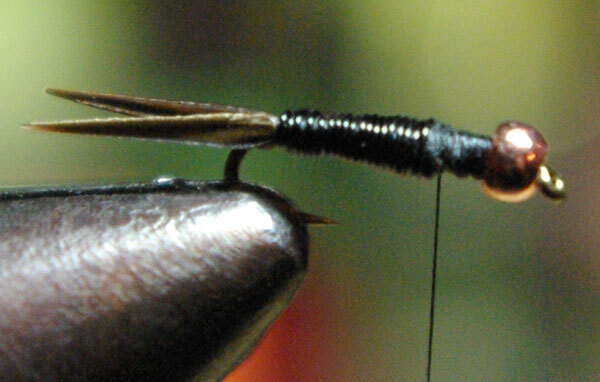 It just seems to be a fact of life for the dedicated (read obsessed) fly fisher. For most though, they talk about tying as if it is a chore or a job. Maybe I started with that opinion, but can now freely admit that I find it relaxing, satisfying and a joy. 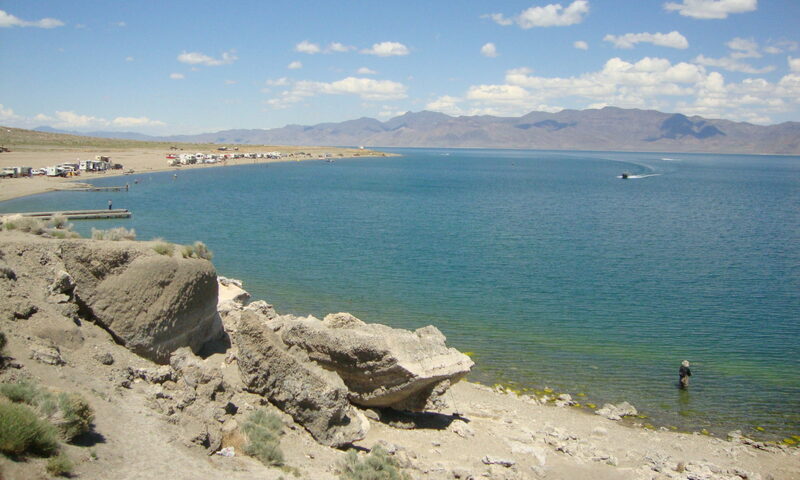 Besides, it is one thing to catch a fish on a fly and quite another to catch a fish on a fly that YOU tied. Very organic! 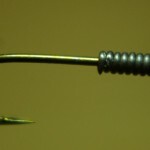 As the seasons have progressed, so have my skills and the number of patterns I can tie. What started off as a quest to tie my staple flies has morphed into a quest to tie the majority of flies that I rely on during the season. 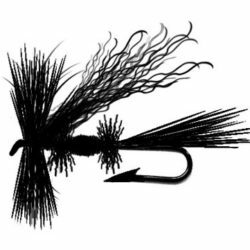 But as I have progressed from 5 or 6 patterns, to dozens of patterns with multiples of variations, the confusion of knowing what I needed to tie and how many started to mount. October Caddis are popping up in the northern stretches of California – Upper Sac, McCloud, Pit – and in the Sierras – Truckee, East Carson. 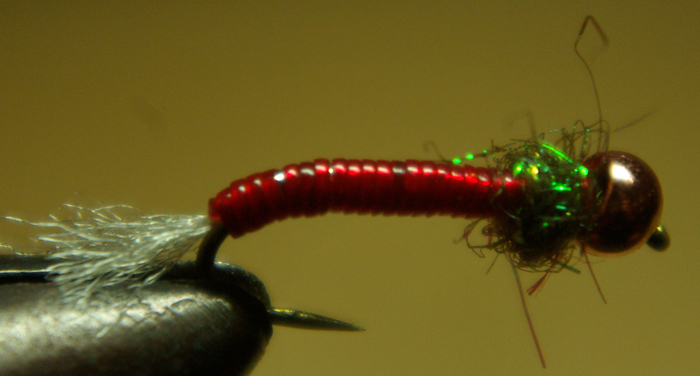 It’s great because trout go stupid for these big bugs.